Nice pool, very close to beach and other amenities. Very good restaurants nearby. Excellent car rental service offered through hotel. 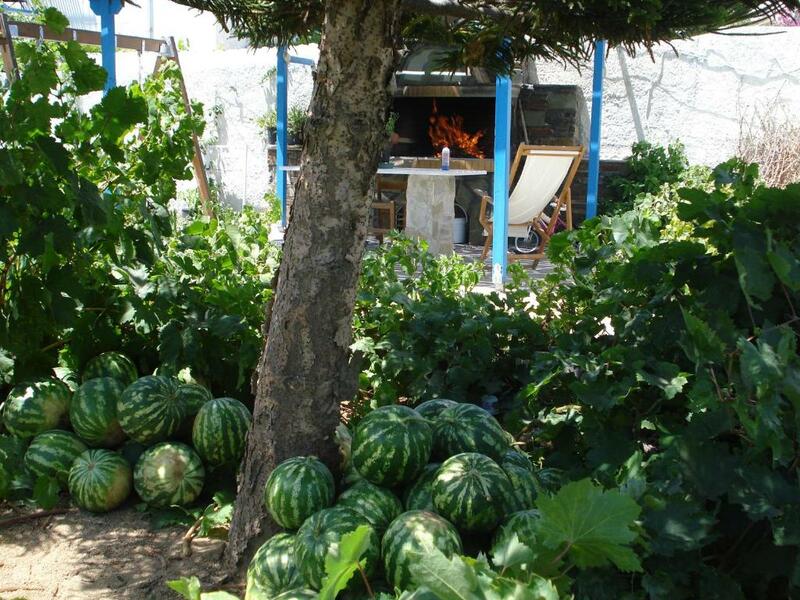 The best location in Naxos for a family with kids. The hosts were very welcoming and the room was tidied up every day. The pool was lovely and breakfast was comprehensive. The walk to the restaurants and beach was short and pleasant. Great rooms, beautiful property with grape vines and a nice pool. Excellent location off the Main Street so it was peaceful. Staff was EXCELLENT. We loved everything about this property! Starting with the driver that was arranged by the hotel to meet us at the ferry, was waiting for us when we arrived! The front desk staff was beyond helpful from checking in , throughout stay and check out. Our family of 5 was comfortably accommodate in two rooms close by. Very clean and comfortable!The pool area is so inviting! Breakfast poolside was the perfect start to the day and reasonable. Walking distance to one of the most beautiful beaches and about 40 minute walk to Plaka Beach, another beautiful beach. We felt like we were guests in someone's home! Such a warm, family friendly feel. Would love to return someday! What a wonderful place to stay! The couple who owned the hotel, as well as their parents, were very gracious hosts. They even gave us fruit from their personal garden:) We stayed in the triple room, which was perfect for us and our one year old daughter. The hotel provided an oversized pack-n-play for the crib. Our balcony faced the amazing pool! This hotel was extremely family friendly. Breakfast was very tasty. The location of the hotel was perfect, with the beach and all of the restaurants just a few minute walk by foot. The hotel was well maintained by a very friendly cleaning staff. The rooms were cleaned from floor to ceiling every day- including mopping the floor and washing all surfaces. Agios Prokopios was a wonderful place to stay! We will definitely be back. The staff was fantastic! Swimming pool area was pretty nice and you could find supermarkets, bakeries, restaurants, bars and everything you need within walking distance! This includes one of the most beautiful beaches in Greece! Perfectly maintained and architecturally interesting family-run hotel with new bathrooms, lovely pool, laundry service and exceedingly helpful staff able to communicate in several languages. Great location, just a short walk to beach and main street of shops and restaurants. There is an excellent supermarket and shops to buy quick-drying beach towels, which Greek hotels don't provide. Staff can arrange rental cars and taxis. 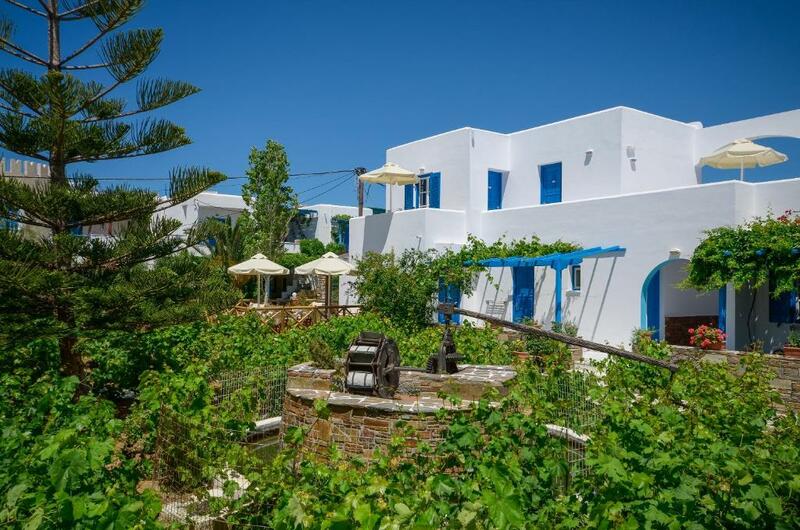 This location is picture perfect for those interested in a beach vacation and is just a short bus or taxi ride to Naxos Town for evenings out. The breakfast buffet is exceptional with fresh fruits, homemade pitas and pastries and the amazing Greek yogurt and jams. Rooms have balconies, airconditioning that works well, refrigerators, new stovetops and plates and utensils. Lock in a great price for Agios Prokopios Hotel – rated 9 by recent guests! Agios Prokopios Hotel This rating is a reflection of how the property compares to the industry standard when it comes to price, facilities and services available. It's based on a self-evaluation by the property. Use this rating to help choose your stay! One of our best sellers in Agios Prokopios! Just 2 minutes’ walk from the sandy beach of Agios Prokopios, this hotel offers a swimming pool with hydromassage and spacious accommodations with satellite TV. Free WiFi is available in public areas. Guests at Agios Prokopios Hotel can choose between charming rooms, self-catering studios and apartments. All units include balcony with view to the pool or the garden, and air conditioning. Guests can enjoy a rich Greek buffet breakfast until noon. Other hotel facilities include a restaurant, a barbecue area, a snack bar and a pool bar. Children can swim safely in their separate pool and play at the hotel’s playground. a tennis court is available too. Shuttle services from Naxos Airport and the port are provided upon charge. 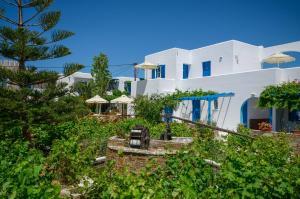 The hotel’s location, just 2.5 mi from Naxos Town, serves as a convenient base. Frequent bus/taxi service is available 500 feet away. The hotel's staff can arrange car or bike rentals, excursions, and offer tips on sightseeing. When would you like to stay at Agios Prokopios Hotel? The apartment has 2 bedrooms with a balcony or patio. Charming room with air conditioning and telephone. Its balcony faces the pool or the garden. House Rules Agios Prokopios Hotel takes special requests – add in the next step! Agios Prokopios Hotel accepts these cards and reserves the right to temporarily hold an amount prior to arrival. Please inform Agios Prokopios Hotel 1 day in advance of your expected arrival time, in case you wish to use the shuttle service. We had a splendid time - very caring, friendly , nice hosts - a very nice, very clean, light appartment (2 double rooms, kitchenette, bathroom, 2 balconies) with nice, light furniture, nicely deocrated. The pool was great, very clean, a number of sufficient beach chairs around - breakfast was nice hot and cold food. The walking distance to the beach is very short, and the hotel is nicely situated in a small street with seldom a car passing by, and a lot of taverns in walking distance. We had a great time here and would definitely come back to this peaceful place. We can really recommend it for a relaxing, nice stay on Naxos. Extremely friendly and helpful hosts who know everything about the island. The hotel was impeccable. We didn't like the bed, extremely uncomfortable. We didn't like being offered the airport shuttle only to find it cost us more than a taxi!! Beware of this future visitors. Pool was freezing cold, so did not use, the sea was warmer. Rooms are quite small to accommodate a kitchenette and there are no proper utensils to use, we had one spoon and 1 knife. People in next room had many parties and smoked cannabis all night, it drifted into our room. Not nice at all. We liked the location and staff we met were friendly. Local restaurants are very nice, very close to beach, walk in 5 minutes. Beautiful property very close to the beach, owners wonderful! The bedding (sheets and pillows) could have been a little more comfortable. The cell and WiFi signal were not great at least in our apartment, although it was easy enough to step out onto the great little poolside terrace. Great location, wonderful and helpful owners/ staff, and the hotel was really well kept. Perfect beach with all the shops and restaurants nearby and the hotel pool was nice (if a bit chilly in the first week of October). My daughter loved the donkey! Air conditioning wasn’t that cool, but not a major problem. Good location for the beach and restaurants, nice friendly staff, good comfy pool area. We loved the location as a family. So close to the beach and wonderful restaurants. There were shared kids toys to enjoy which was appreciated. The pool as others have said gets deep very quickly and not ideal for kids 3-5 who can’t yet swim. Providing breakfast was a plus though it lacked versus other breakfasts on our travels. Nothing that should put you off. I found the aircon noisy, but, what air-con isn't noisy! 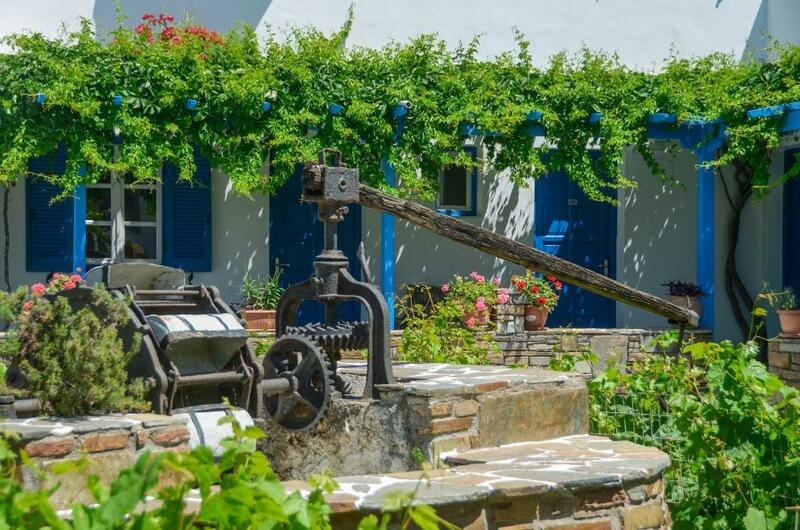 A very quaint traditional Greek hotel. Very friendly welcome from Maria, the receptionist who filled us in on the local area and maps etc! The room is comfortable, and is serviced everyday. Our room had a nice little balcony over the pool where we could have meals. The little kitchenette is actually very serviceable. Kettle, fridge and electric hob; we were able to make our own breakfast (although it is possible to have breakfast in the on-site café (6 euro a day). The best thing about this hotel is the location. It is 5 minutes to the beach, a supermarket, lovely restaurants and views! We didn't want to leave. More variety for breakfast. However the breakfast was still lovely. Very friendly staff and the pool was wonderful! Excellent location, with only a 2 minute walk from the beach and lovely traditional tavernas. The air con in room was not working properly and room hot while sleeping. We told reception but it was not fixed for the 3 nights we were there. Rooms were quite small. Helpful reception on arrival and lovely pool. Easy walk to restaurants only 5 mins. I felt the breakfast could have been a bit more varied but other than that everything was excellent. Pool was a little deep for any children that might stay at the hotel. THE STAFF! Fey is amazing, she was the first person we met and we loved her! she gave us so much information, she was so kind to us. everyone was really really friendly and so helpful. The hotel has a perfect location, close to the beach and everything you might need. The room is big and the pool is nice and relaxing.